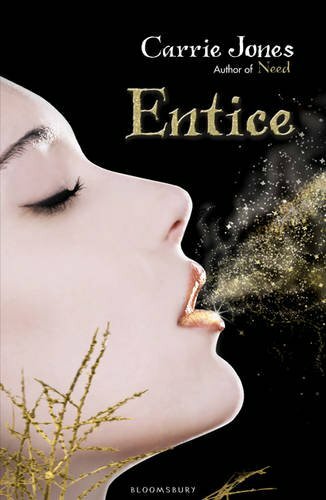 Entice is the third book in a series and this review contains spoilers for the first two titles – Need and Captivate. If you haven't read them then go away, do so and then come on back. I have a bit of a chequered history with this series. 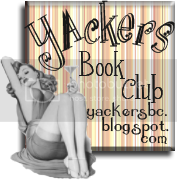 I read Need shortly before I started blogging and adored it. I loved the re-imagining of pixies as human-sized, vampiric (ish) pieces of sheer wickedness – genuinely frightening and above all totally different. I loved protagonist Zara and her rag tag bunch of friends, I liked Hot Boy Nick and enjoyed their relationship. 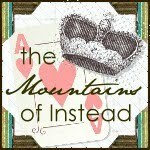 I thought the story was well paced and refreshingly original. I couldn't wait to read more. Then I read Captivate. God, it made me mad. Firstly, Nick started calling Zara “baby” all the time. It was weird, it was out of character, it made me hate him. Secondly, Zara kept going blue. Every time this was mentioned (and yes, I understand it was pivotal to the plot) I envisioned those blue creatures from Avatar and that is just NOT the look I wanted for my heroine. Thirdly, the introduction of Norse mythology had the author resorting to expositing Buffy to explain what was going on. I love Buffy but come on... not cool. Anyhoo, when Bloomsbury ever so kindly sent me Entice to review (unaware of my then Break Up status with the series), I decided to return to the scene of the crime and start the series over. And I am ever so glad that I did because now I love them, and it, all over again. Reading Need and Captivate together helped me to see the overall plot. The expositing, while still clunky worked better for me and I didn't mind Zara's occasional blue-ness as I could see that it might have interesting consequences for her future. I even started to like Nick again – although not the “baby”-ing but that's just personal preference. Thankfully, Entice continues the good work and then some. The plot itself moves away from Maine and as far afield as Iceland which worked really well. Not only does it offer a nice change of pace it also allows Zara to spend time with good-or-is-he pixie king Astley. Back at the ranch things have also picked up a little with all sorts of interesting stuff going down. Incidentally, Jones has cunningly given one of the characters a Buffy obsession so the previous expositing now seems acceptable (although the referencing of it as a “retro” show made me feel horribly, horribly old). Zara remains an interesting character and her development in Entice is actually pretty excellent. While becoming increasingly tough she remains a sympathetic figure, still struggling with the death of her father, the neglect of her mother and her pixie heritage. As she slowly starts to embrace that heritage she becomes even more fascinating, taking on a mantel that she is not entirely comfortable with because she truly believes that it will be for the greater good. Astley is also a well-written and increasingly well developed character. While his motivations are never entirely clear he is still always likable, with lovely details like questionable flying and awareness of the awfulness of his name only adding to his charm. The way he treats Zara is never anything less than chivalrous and I'm curious to see where their friendship goes. A relationship that is particularly interesting in Entice is that between Zara and her mother. The latter, clearly influenced by her own (foolishly naive) dealings with pixies reacts horrendously to the situation that Zara now finds herself in. Rather than admit that she herself sent Zara into the fray, she blames her daughter. She's an infuriating character - neglectful, dictatorial and selfish. However, she allows the author plenty of room to explore the ongoing theme of bigotism that has been emerging throughout the series. While Nick doesn't appear much in this book I can't help but wonder if he and Mummy Dearest might not have quite a lot of common ground on several matters. It is these complex relationships (by no means limited to Zara, Nick and her mother) that lift this series above many others out there. By adding this depth to an already hugely original plot, Jones is quickly establishing herself as a YA author to look out for. So yes, all is forgiven. Having felt that Captivate had lead me to the end of my pixie love, Entice has sucked me back in and skillfully allowed me to re-think our relationship status. I had been under the impression that this was a trilogy but it would appear not. Entice ends with lots of curious story threads waiting to be resolved and I really don't know what might happen next – always the sign of a good series. And for the record, I am totally Team Astley – he never calls anyone baby. Entice is released on 6th January. Thank you to Bloomsbury for sending me this title to review. Great review...I have not read these ones yet.